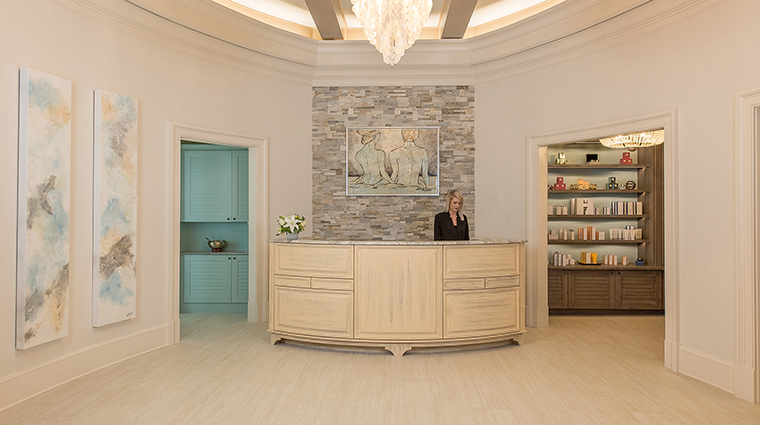 Drawing much inspiration from the tranquility and beauty of water, Salamander Spa at The Henderson in Destin is a haven of peace and relaxation, a space dedicated to restoring energy and health on a holistic level. 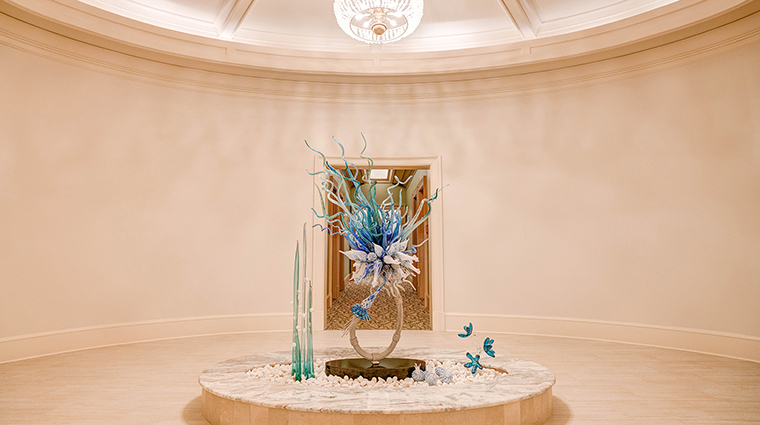 The water theme is apparent in every aspect of the décor and design, from the water features that line the corridor to the custom light fixtures and commissioned art that adorn the muted-blue walls. There’s a hushed lack of urgency, an unspoken observance that time is not the focus here, and that true well-being can only be achieved when the body, mind and spirit are in balance. Upon arrival, you are treated to a sound bowl ritual that uses the vibrations of a small copper bowl to help center the mind and encourage a state of meditation. Achieving health on a holistic level is highly emphasized here, and the spa’s director has specially created the menu of services and treatments to help meet those goals. Every aspect of the spa is designed to calm the mind and body — you are encouraged to arrive early and to stay post-treatment to take advantage of the amenities like the steam room and whirlpool. For beach-inspired pampering, try the KUR Wellness, which uses thermal mineral water, algae, essential oil and herbs. You’ll be treated to a wrap, hydrotherapy soak and a massage. An all-in-one experience is Henderson’s Dreams, during which you’ll receive a personalized salt scrub with eucalyptus, hot stone massage and wrap. 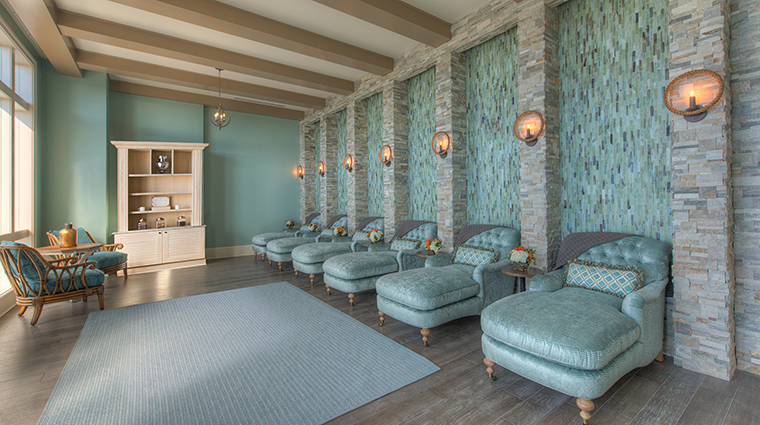 If you’re a guest at The Henderson, A Salamander Beach Spa & Resort, opt to stay in one of the Spa Rooms, which feature a Well Being bar stocked with healthy snacks and beverages; products from the spa, including bath soaks and skin treatments; and a wellness crate with a yoga mat, blocks and weights. The rooms also have direct elevator access to the front doors of the spa. Those between 12 and 17 years of age can experience salon services, including manicures, pedicures, makeup or hair services without an adult accompaniment. Parent or guardian supervision must be given during spa treatments like facials and massages. Arrival time before spa appointments is 30 minutes, during which you are given a robe, towel and sandals and encouraged to enjoy use of the Relaxation Lounge, the steam room and locker rooms. Many of the cosmetic, bath and skincare products used in treatments, including the Kerstin Florian line, are available to purchase at the entrance of the spa. 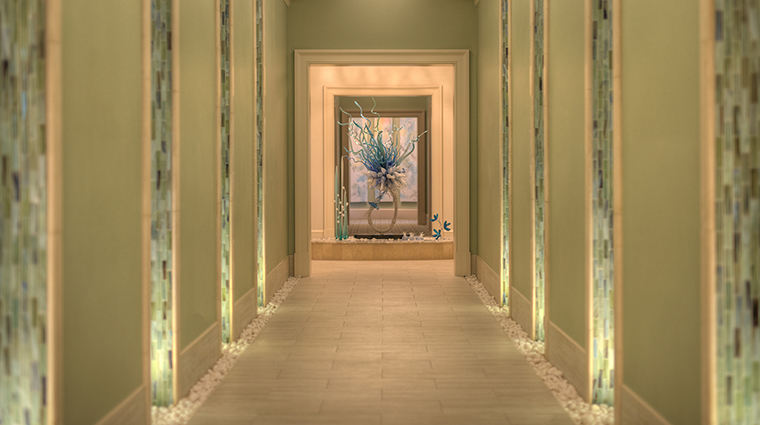 The Destin spa offers a range of restorative massage options from deep tissue to hot stone. Enhancements make massages a more personalized experience to suit your specific needs — add on aromatherapy or the use of bamboo tools. The Salt of the Sea body scrub incorporates eucalyptus aromatherapy and employs sea salt to exfoliate skin. Body treatments include a range of options that integrate wellness practices such as foot cleansings, body wraps, therapeutic magnesium massages, hydrotherapy soaks and aromatherapy. Facials that refresh, revitalize, detoxify and balance the skin. The top-of-the-line Caviar Age-Defying Facial aims to produce a more youthful look and glow with the use of caviar-infused products and intensely moisturizing ingredients. The full-service salon offers manicures, pedicures, paraffin treatments, haircuts and styling, hair design, professional makeup services and specialized hair and scalp treatments. The luxury spa has 11 private treatment rooms, each equipped with steam showers and soaking tubs. There are also two couples suites where couples can relax and experience luxurious treatments together. Privately dedicated men’s and women’s areas are each appointed with aromatic steam rooms, changing areas and relaxation lounges. If you find your sense of peace and healing in the water, you’ll love the water therapy room with whirlpool tub. Hair, makeup, manicure, and pedicure stations are all ready and waiting in the full-service salon. Use of the pools and gym are also available to spa guests. It’s important to know, however, that this privilege isn’t part of the perks of booking an appointment with the salon.